Scroll down for an inside account from cannabis business executives pioneering the state’s new adult-use market, which Marijuana Business Daily estimates will generate at least $4 billion in annual retail sales in several years. Click here to read Part I, here for Part II and here for Part III. Everything is changing for cannabis growers in Northern California. 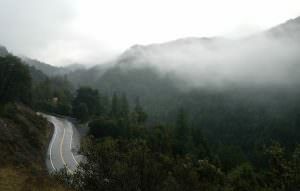 Especially in Mendocino, Humboldt and Trinity counties, which make up the famed Emerald Triangle. Whom they work with, how they run their farms, even what they call themselves. Many locals have switched from the label of “grower” to “farmer” for political and regulatory reasons, said a Mendocino County cultivator who’s been involved in the marijuana business almost his entire life. “It’s transformed a lot,” said Casey O’Neill, who owns Happy Day Farms. In Humboldt County, to the north of O’Neill’s operation, a lot of small-scale local farmers have begun organizing for the sake of survival, so their brands will be able to compete at scale with bigger commercial growers that are preparing to launch elsewhere. They’ve been joining together under new distributor umbrellas like True Humboldt, Humboldt Legends, Flow Kana, Humboldt High Five and other smaller business ventures that will function like co-ops for growers that prefer to stay small and rely on branding from distributors. Trading on the Humboldt name and joining forces is how many small local farmers hope to survive in California’s new regulated market. Beyond the scaling issues, cultivators in the region are concerned about the financial toll of California’s new cannabis landscape. Terra Carver, executive director of the Humboldt County Grower’s Alliance, said the cost of complying with the new regulations is a lot for small businesses to bear. She reckons that some of her organization’s roughly 160 members – there are an estimated 15,000 growers in Humboldt County alone – have spent $25,000-$750,000 on renovations to bring their farms into compliance. One, she said, spent several hundred thousand dollars hauling in new gravel to pave a road through the farm just to meet code. The average cost to come into compliance, she estimated, is about $60,000-$75,000. Dillon said he had to install $60,000 worth of new security cameras at his family farm. “It’s death by a thousand cuts,” he said of the costs associated with participating in the newly legal market. “California is in danger of killing the goose that laid the golden egg,” Dillon added, referring to the possibility of overregulation driving operators back underground and away from doing business in the legal market. 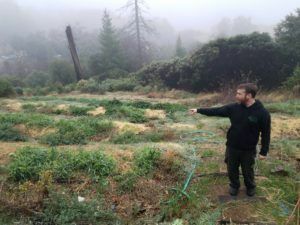 Some Emerald Triangle growers are taking a risky move to try to recoup some of their costs from 2017. According to Carver, they’ve been hanging on to a lot of their inventory until later in 2018. That’s when California will finalize the full industry regulations and when lab testing thresholds will kick in. Holding back marijuana could create a shortage of clean product for retailers, and that’s exactly what a lot of small growers are banking on, Carver said. She estimated there are probably “thousands” of pounds of flower in Humboldt County waiting to be brought into the legal supply chain. “It’s kind of a play-the-market-and-see-what-happens moment,” Carver said. No one knows if that will work. “I don’t have a crystal ball. I have no idea,” Carver said when asked if she believes the strategy will prove worthwhile for small growers. One even said the delay tactic backfired on cultivators who tried it in 2017. 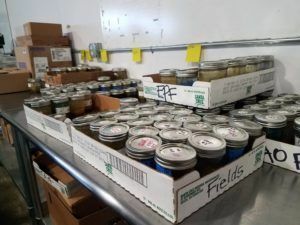 “Last year, a lot of people had that mentality and were turning down $1,200 or $1,400 a pound,” said Nik Erickson, the owner of Full Moon Farms. However, he said he believes prices will probably jump for wholesale flower in California this year once retailers are allowed to sell only cannabis that passes testing. For the time being, retailers are permitted to sell existing inventory that doesn’t meet the standards the state likely will put in place later this year. Erickson estimated prices could jump to $1,300-$1,700 per pound, but he said he’d be happy with prices around $1,200. Factoring in all the hurdles facing his fellow Northern California growers, Erickson believes about five groups of collected farmers will emerge in Humboldt as industry leaders. 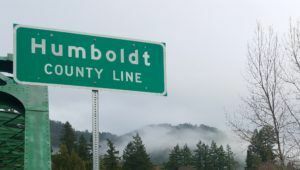 Humboldt Legends, for instance, is already working with about 40 small farmers. The company plans to build out a new distribution and processing facility. That’s also the goal of Northern Emeralds, which cultivates its own cannabis but adds to its supply by buying wholesale from small farms. The grower-distributor system seems to be developing into a symbiotic business relationship: Small farmers concentrate on producing the most quality flower they can while distributors focus on packaging, marketing and finalizing sales. “We’re representing Humboldt County, and the better our farmers do, the better we do,” said Ryan Moran, Humboldt Legends’ director of farmer affairs. Consolidation in the Cultivator sector has begun. . . . ..Next step is for consolidation in the oil sector. That will probably take a little longer due to the complexities of making legal extract. My family is new to the business. My son along with two other business partners owned a dispensary for over 4 years , With the new laws they were shut down and now in the process of trying to jump back in the game I’m hoping that we can find someone to partner with that maybe has more capital but not the knowledge.My son’s team was associated with the business for over 10 years. And I believe could be a good asset to someone. Wondering what’s the best way to find out someone who wants to partner. I’m an independent investor looking to invest in cannabis business opportunities in exchange for partial ownership. I have extensive experience in small business startups and I previously worked as a senior product manager for a fortune 100 technology company. I have many years of marketing and sales experience as a brand ambassador and product evangelist and can offer financial assistance and professional mentoring. My preference is to invest in marijuana manufacturing/ processing business opportunities (non-cultivation). Please send me a brief synopsis of your business plan and I will evaluate my potential to help jumpstart your idea to maximize revenue opportunities and propel your business to the top. 99% of growers have been regulated out of the market or regulated to the black market.. Gotta love legalization -hopefully quality doesn’t fall off a cliff as it did in Washington? As the article notes, some farmers are holding back inventory and waiting for a better price. Hopefully they have a proper method for long-term climate control storage that preserves and protects the delicate tepenes…or else their crop will be spoiled and unsellable.